Acer Nitro 5 AN515-52 Drivers for Windows 10 64 Bit are available online. You can easily download and install these drivers and software to get your notebook operate correctly. 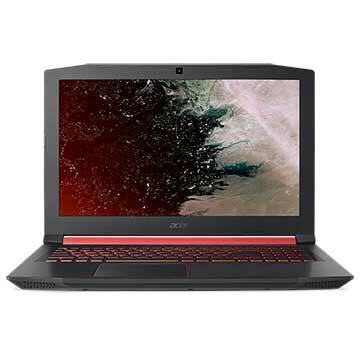 As described at Acer US website, Acer Nitro 5 AN515-52 is 15.6 inch gaming laptop powered by 8th Generation 2.30 GHz Intel Core i5 i5-8300H quad-core processor and discrete NVIDIA GeForce GTX 1050 graphics video card with up to 4 GB GDDR5 dedicated graphics memory. It comes with 8 GB DDR4 SDRAM memory and 1 TB Serial ATA HDD / 128 GB SSD storage to save your data. This mobile computer features IEEE 802.11a/b/g/n/ac Wi-Fi, memory card reader, IPS full HD screen display, HDMI port, USB 3.0 port, USB 3.1 Gen 1 port, backlit keyboard, and 4-cell 3320 mAh Lithium Ion battery.